People often get this idea that you get more time for yourself, that working from home is easy, that you will be more available for other things, that you can take it easy...And if you mention you are an entrepreneur or freelancer, suddenly people will think that you are living THE life and your life is all about sitting on the sofa and watch Netflix the whole day long. Wouldn't it be perfect? I mean seriously getting paid to sit around the whole day long doing nothing. Well, I hate to break it to you, I don't know a single person freelancer or salaried who gets to do just that at home. So if your only motivation to quit your job, or negotiate with your boss to let you work from home is just so you get more time to do what you love, you might want to re-think that plan right away. 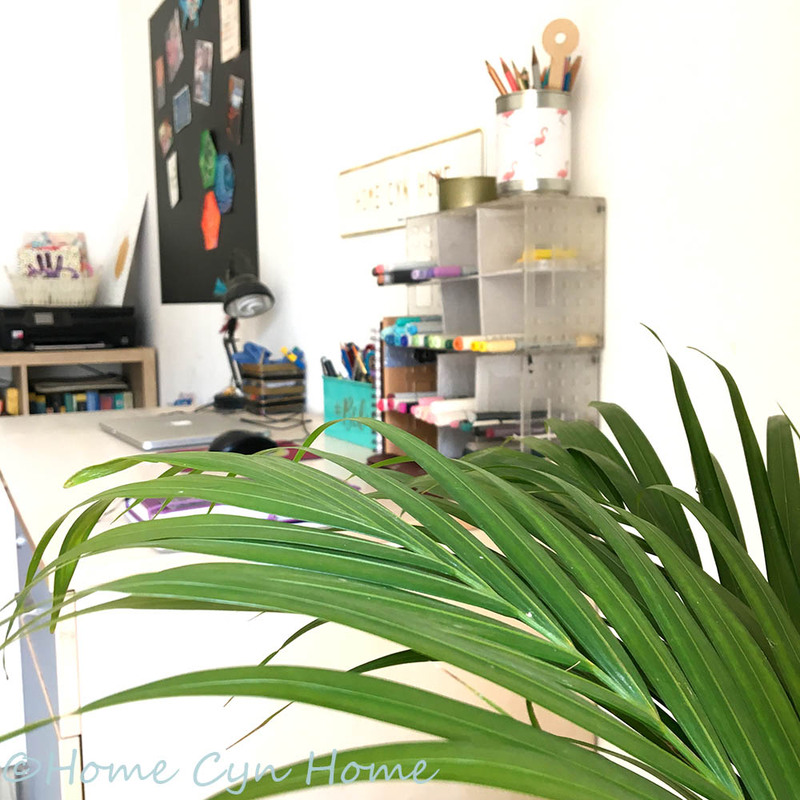 I'm writing this blog post because I spent the last 1.5 months not working the same hours and out of my home office (on the sofa in the living room) because my mom was visiting. While I knew how much time and effort and sweat I put in my business and career, I frankly only realised during this past month that it amounted to more than I thought even though it never felt like work. And while we are on the topic, as much as I loved having my mom around and enjoyed spending time with her and welcomed the change of routine, I am also VERY glad to have my home office back and being able to focus on bigger projects to come. When I started working from home, I was a freelance translator, and was kept quite busy with a big assignment that spanned several years on an off with a client. The only way to pull it off, was to dedicate a minimum of 4 hours a day. Because translation can be quite redundant and well, boring, I used to break those hours all through the day. What I realised early on, is that the hardest part was to get people around me to get on board with that. Hubby was going to office full time, so that wasn't too hard, but when my in-laws came to visit for over a month after we got married it was hard for them to wrap their head around the fact I wasn't going to be cooking 3 square meals a day, and serve them tea and snacks in between. When I went to Switzerland for 2 months in 2008, I took my work with me, and it was difficult for my own family to understand that I wasn't exactly on a long holiday, I still had deadlines to meet and work hours to pull. When my daughter was born, I had to quit freelancing simply because being sleep deprived, taking care of a newborn and spending whatever was left of my day translating French into English became impossible. Then I got more serious with my blog, and I know many thought it was just a hobby, a way to kill time while "off duty" as a wife and mom. While I wasn't getting paid my dues at first, I treated it like work from the get go. Why? Because that's who I am : perfectionist, dedicated to whatever project I embark on and intent to treat everything I do seriously. Turns out I was right, what was just a fun hobby, turned into me making a name for myself and starting getting related or less related projects on the side which progressively lead to where I stand today as an artist. So, you want to make it being your own boss and working from home? Be prepared to work hard and long. When I blogging was my sole gig, I used to put about 4-5 hours a day either writing, or planning a blog project or being involved in promoting my work. That came on top of actually pulling a DIY project, on busy days, I could easily be absorbed by blog related things for 8 or 9 hours. With my artwork and designing gig, I still blog a couple of times a month, and spend 5-6 hours at my desk either painting, editing, publishing or promoting my work around. When I am not doing that, I am watching videos by other artists and teachers to perfect myself and learn new skills. Speaking of classes, I teach kids art classes and conduct workshops that take me a couple of hours a week. When I go on a walk to stay fit (and keep diabetes at bay) I usually either listen to a podcast, or perky music that engage my thought and usually triggers new ideas I can use in my work. Last but not least, I try to spend a few evenings a week reading about business, marketing or ways to perfect myself through self-help book. Still not impressed? I doodle for fun frequently to get those artsy crafty muscles from going weak. All in all, I spend about 8-9 or more hours of my day being engaged into something related to my work. It doesn't leave much time to sit on the sofa to watch Netflix huh? Unless you are a salaried person with a boss keeping you on a tight leash, the only way to make it working from home is to make sure your work is something you LOVE doing. That way it won't look like you are working hard and you'll keep yourself motivated. If you love blogging, drawing, shooting videos, painting, or whatever it is you plan to make it a career from the comfort of your home, it has to make you feel happy, happier than the urge to sit in front of your computer playing video games or binge watching your favourite series on Netflix. If you find yourself constantly grabbing the TV remote, it means that whatever you planned to make your career isn't strong enough. It goes with self-discipline really, but if you have a corner of your home you can dedicate to work, you'll be far more likely to pull the hours. I wrote a whole blog post on that topic a few months ago. And while I was relegated to my sofa this past month, I still went through a ritual of setting up my space before working. It involved opening my laptop, keeping my journal, notebooks and pencils nearby, and make sure my tea mug and water glass were on the coffee table within reach. Everything non work related like the TV remotes went off the coffee table and I even told my mom to let me work. She forgot a few times and tried to get me to chit chat, only for me to remind her I was working on something. I said it before, the biggest obstacle is when it comes to family and friends to understand that just because you don't commute to an office daily, it doesn't mean you aren't working. I still face that challenge every school holidays, though thankfully, as Ishita grows older, she is more independent and it leaves me with more time to focus on work all through the day. When family comes visiting, I treat it as a leave, and usually take a few days off, or in the case of an extended visit like I just got to deal with, re-work my hours and priorities. With my mom it was one day of work, and one day nearly off as we got busy outside the home with other things. I established a routine of really working full time every other days, and making sure that on those days I was actually not available for anything else. It's easy to fall into the trap of seeing working from home as a way to "have it all" or at the least have more time for others. Do this, and you'll be heading to Burnoutville very quickly. So make yourself your priority, it means that work is going to take 8-9 hours of your day, and you need to schedule in some "Me time" before you squeeze in all the other household and family stuff. As you all know, I manage my household without hiring a maid in India, but that doesn't mean I do everything myself. My husband and daughter do their bit, I have a cook to take care of hubby's tiffin lunch, bought a dishwasher to do the dishes and my mom gifted me this awesome cleaning robot. Alright! I might have killed a few myth and broken a few idillic visions of what working from home is like, but don't let that discourage you. If you really want to make it on your own, just put in the hours, dedication and passion necessary to pull it through. The only thing you really shouldn't loose sight of, is that work is work, no matter where you do it. The pitfalls of working from a corporate office is the whole commuting gig, having chatty colleagues and a boss to breathe down your neck if you don't meet deadlines. The pitfalls of working from home is to not get distracted by your TV, Phone, or raid your fridge too many times a day and stick to a schedule that nobody but yourself can make your follow. With a little willpower and a well drafted plan you can totally do it, and if you are dealing with family members that don't get it, just get a lock on your home office space and drown their screams by putting music on. As many of you know, when we moved to our new flat in 2017, we made the decision to manage our household without a maid, and we are going to close on 2 years doing so this April. In fact, my blog post "How we manage without a maid" is a permanent resident in my "Popular blog post" widget and the numbers of Google searches on the topic that leads people to my blog keep increasing. I guess it's safe to say more and more people in India are getting fed up with the drama and slacking that comes with having a maid and are looking into ways to do without. Last year, I even did a summary of our 1 year anniversary of doing it without. Back then, after a long year of wasting nearly 2 hours of our day doing the dishes by hand, we lucked out on a very sweet deal getting a second hand dishwasher for close to nothing and it had made our lives that much easier, all we had left to do was the floor, and the usual heavy load of laundry and deep bathroom cleaning on weekends. This is frankly, the purchase I never even thought of making...EVER. I never even considered a Robot cleaner as a viable option, to me they really sounded like this useless household gadget that just looks fun to have. I obviously was totally wrong and I stand corrected. I only became a proud owner of one a few days ago, and only because my mom, who is still staying with us decided I needed one and gifted it to me because I'm turning 40 later this year. When she mentioned robot cleaners, I'm pretty sure my eyes popped out of my head and I did ask her if it was really THAT effective. Apparently she has a friend that pretty much swears by hers and has 5 dogs. She also told me how those things go charge themselves on their own, are able to chart the optimal path through your flat after a few use and how they reach all possible corners, and even come with a wet mop function...whaaaaa....at! Strong of all that, my mom asked me to go check what was available on Amazon India, that led to her buying us the iLife X620 (This is an affiliate link by the way). If you are reading this from the US, iLife has changed the name of the model, it's called the A6 model there. Where has this thing been all my life! Thanks to Amazon Prime, my new toy reached me within 24 hours of ordering, and after unboxing it, reading the instructions and putting it to charge I got to use it. At that time, Ishita, my mom and I were home and I kid you not we were like children on Christmas day. We obsessively watched the robot's every twists, turns and sweep, saw it glide under furnitures with ease, spin around the table legs, and leaving nothing alone. We bust in laughter when my cat freaked out seeing it in action for the first time and laughed some more when the robot took on cleaning precisely all around Jasmine with laser precision (Jasmine couldn't be bothered to move). 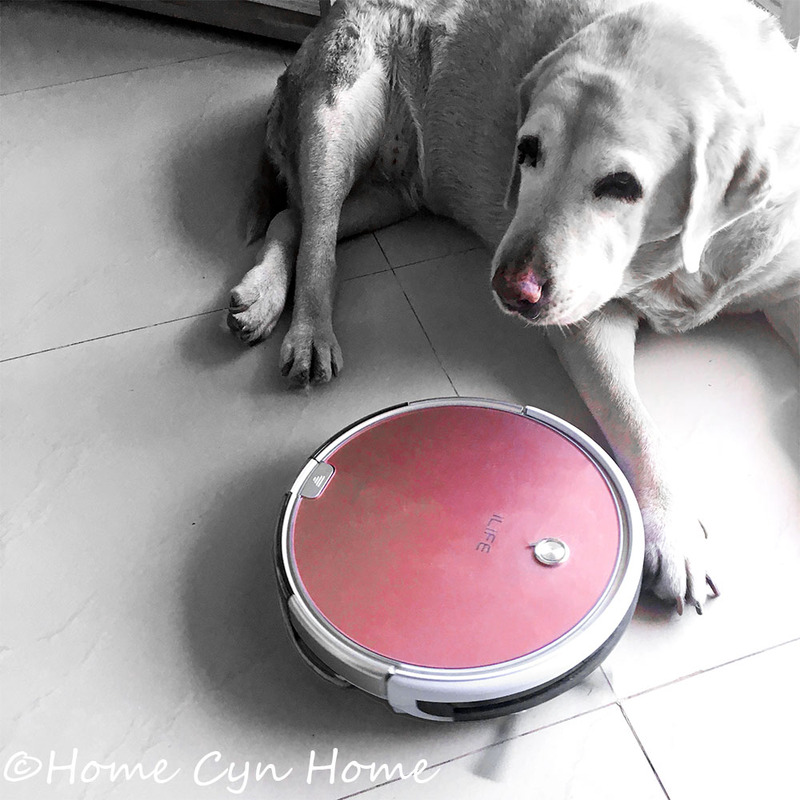 By the time hubby made it home, we were done with the vacuum cleaner mode and had attached the wet mopping tank and he joined us for a Robot gawking session until it finished cleaning the last spot in our living room. The end result was that we were all thoroughly impressed with how clean everything was. For almost 2 years, we've been sweeping and mopping daily, and frankly we were good at it already. But that clean-bot bested us in one session. Sure it takes more time than us covering the whole flat, but what it does, it does it way better than we ever could. It covered the whole flat in about one hour and a half of vacuuming and then thanks to the fact it had memorized some paths across our home already, it did the mopping in just one hour. The floor felt squeaky clean under our bare feet, and I don't think it ever felt that way before, not even after using a combination of sweeping and steam mopping. According to the iLife website and the description on Amazon, our model has "GPS" of sorts, it is able to map paths around your home after a few repeated uses. When we used it the first time, it went spinning around, and bumped into things a lot. It also went back and forth and visited a corner or room more than once, which led to it taking an hour and a half to vacuum the whole flat. When we put the mop on, it had already figured out a few paths and bumped a lot less into walls and furnitures and accomplished its task in about an hour. The next morning it was done with vacuuming in 45 minutes but because we had bags and stuff on the ground that wasn't there the night before, it bumped into them and paused a few times to figure out how to deal with it. The robot comes with its charging station, a mop attachment, a set of spare brushes, and a remote control. According to the instruction manual, the robot can be even programmed to start cleaning on it's own at a given time, which means that even if you are sleeping or out of the house, it will clean the home everyday if you instructed it to do so at let's say 1pm. Once the battery is low, it will go put itself back on its charging station all on its own, though I am yet to see it do that because its battery life is more than sufficient to do the whole flat in both dry and wet mode. It also will go back to its dock once it has completed its task, something it didn't do the first few uses as it was still mapping the flat surface but now it does it everytime, unless for a reason or another we had to switch it off or move it, it then lost track of what it did already and will redo the whole route before it feels compelled to "Go Home". The remote also has a "Go Home" button, so that whenever you need it to stop, you can instruct it to go back to its charging dock, and it is amazing to watch. It will stop it's work, and find the path back to its home, sometimes it will roam a bit more until it homes in on the beacon, but once it catches it, it pretty much goes for the home run. It's not that sweeping and mopping really took that much time in my day, it was a 45 minutes a day chore, but looking back at it already, I noticed that I pretty much planned my day around it because while I was cleaning the floor, I wasn't doing anything else. There were days I would wonder if I would get the time to sweep, go grocery shopping, go for a workout, work on a design and then conduct a class in the evening. Inevitably, the workout would go down the drain, or I would forego other chores like cleaning the kitchen a bit more thoroughly or dusting behind the TV. With this robot, I seriously don't have to worry at all, it's just about pressing start, and let it do it's thing. Once it's done cleaning, it automatically goes back to its charging station, the only thing I need to do, is remember to remove the dust container and switch it for the mop tank attachment if I want to mop immediately after vacuuming. And in the end, even if it just freed 45 minutes of my day, it is still a big difference, you never really know how much until you suddenly have it back. For me, having a maid simply wasn't working, I spend more time arguing with her about her not moping properly or attempting to cut corner. I took it upon myself to do the job, and while it wasn't a biggie, I'm still really happy not to have to do it every mornings. The robot has it's limitation, every cleaning tool does, and it struggles getting the stains off the kitchen floor, or the permanent film of grease that comes with the whole cooking without a chimney territory, and yes, we will continue to steam mop once a week all through the flat to really prevent sticky dirt from piling up, but all in all, it has eliminated the whole daily chore of cleaning the floor. On a windy dusty day, we just run the vacuum mode twice, and it's amazing to see how much crap has collected on the floor in a short 8 hours between cleaning sessions. Like with anything, you get what you pay for, and while some of these robot cleaners come withing the price range of a few thousands rupees, do make sure to read the reviews first. 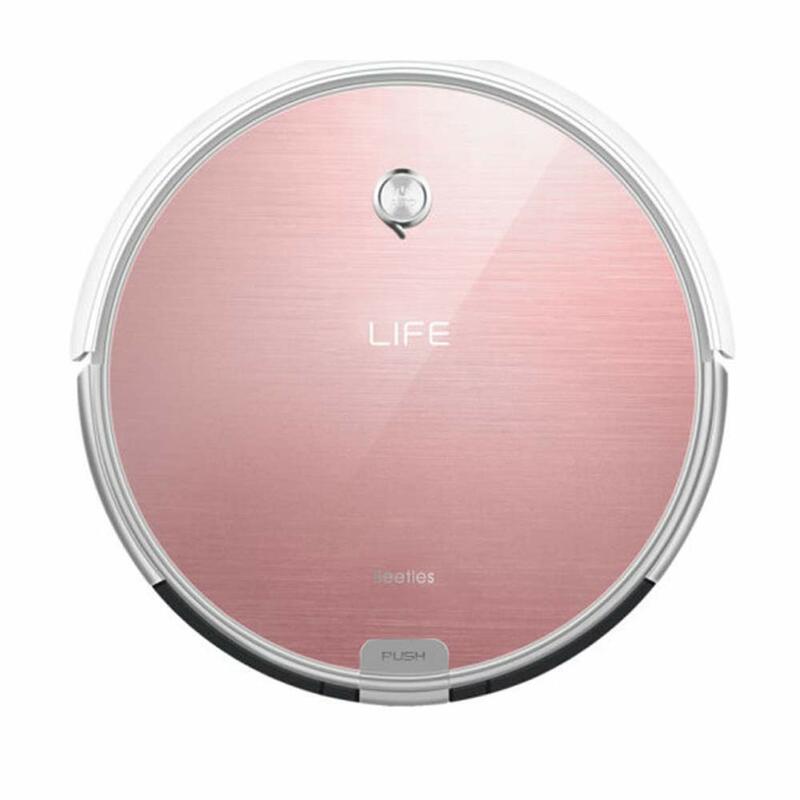 Not all robots are equal, some only vacuum clean, others do both, some are more efficient than others dealing with pet hairs, and cheaper ones also means less battery life, or no real ability to memorise what your home layout is. Mine came up with a 34k price tag, some of the same brand will set you off between 18 and 20k other brands will still be around 10k for one that comes with fair reviews. And there are some even pricier than the one I own. If you search "Roomba" in Amazon it yields you a fair selection of what is available in India. In the end, I did calculate that our former maid used to charge us 6k a month to do the dishes, mob the floor, clean the bathroom and cook. This amounted to a total of 72k rupees a year spent for what was essentially an all round half assed job punctuated with drama, whining, and more leaves than hubby gets in a year. In our new home, we only have a cook charging us 3k a month, so we save a total of 36k a year cleaning things ourselves. So even if we had paid full price for a dishwasher last year, and the robot this year, we would still have been under what it cost us to have a maid clean over a period of 2 years. And both the dishwasher and the robot do not serve us stories of relatives either dying or getting married every 2 weeks, they don't come late, and they don't complain the job is too difficult and take too much time. They also don't ask us for a hefty Diwali bonus, extra money for their kids school fees, or for a trip they need to take somewhere. I said it before, I'll say it again you need the right tool to get started on that maid free gig. In 2017 I wrote a blog post about the essentials you need to spend money on in the beginning, it was a list of what is the best cleaning tools you can get in India. In that blog post, the most high tech of them was the steam mop, I still love and use mine regularly, but seriously, the more upgrades on your tools you can afford over the year, the better. And remember, the real magic of managing without a maid in India is to get all family member to pitch in, regardless of which gadget and appliance you may have to help you. In our home, the cleaning is still everyone's job, and we each do our bit, even our visiting guests. The trend of pairing jewel and pastel tones with gold accents has been around for a while, and frankly I don't think it will go anywhere any time soon. Not with the fact that "Mid-century" revival is still in and going retro is the trend that keeps going steady. Mid-century you say? 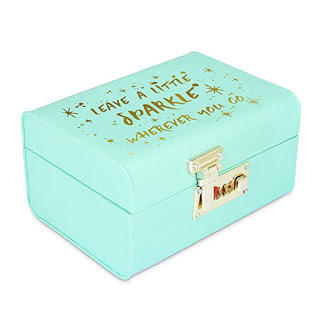 If you are not familiar with the term this means the 50's trend of pastel everything, the one before the 70's ruined everything with avocado green and orange. I bear no love whatsoever for the horror 70's color combo because my childhood bedroom was done in a horrid geometric avocado green wallpaper and wall to wall carpet in the most 70's screaming orange. Give me the pastel tones of the 50's and 60's anytime over that monstrosity of a color scheme! 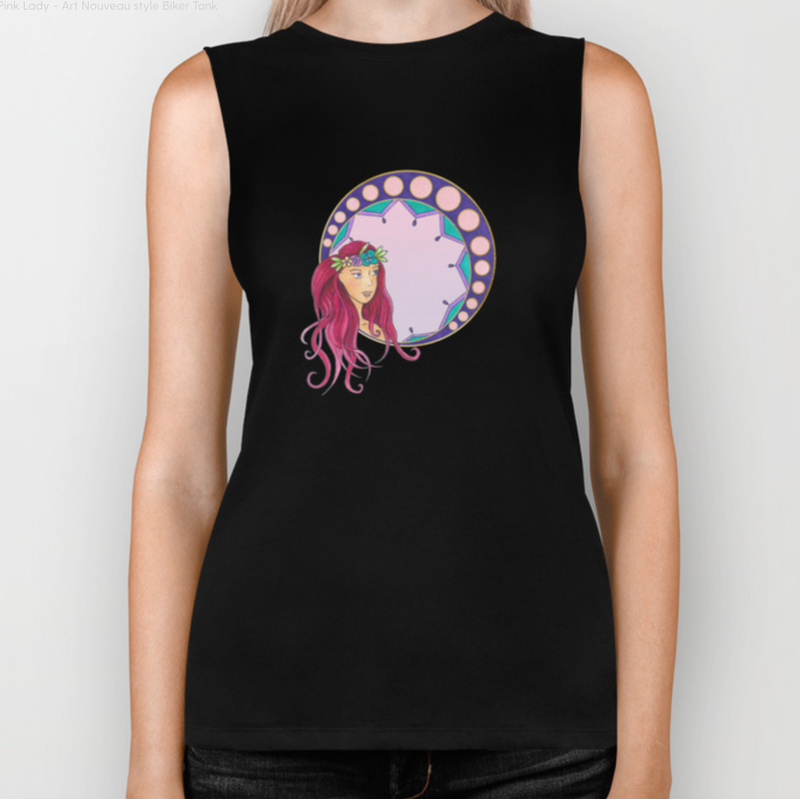 Disclamer: the following links are Amazon and Society6 affiliate links, if you buy anything I get paid a commission at no extra cost to you. For me one of the color combination that wins it all is the mint and gold combo. There is something soothing, and happy about it. And I've used it in two recent DIY projects : the Tea and Sugar canisters, and the Mint and Gold tray. I even painted my coffee table in what is basically a mint hue. Needless to say that I tend to gravitate toward those tones in my artwork as well, even if it is just re-coloring and tweaking the originals in Photoshop to reach that result. The art print in the picture above is proof of it, the original is in pink, purple and blue, but I couldn't stop myself from playing around a bit with it on my computer. 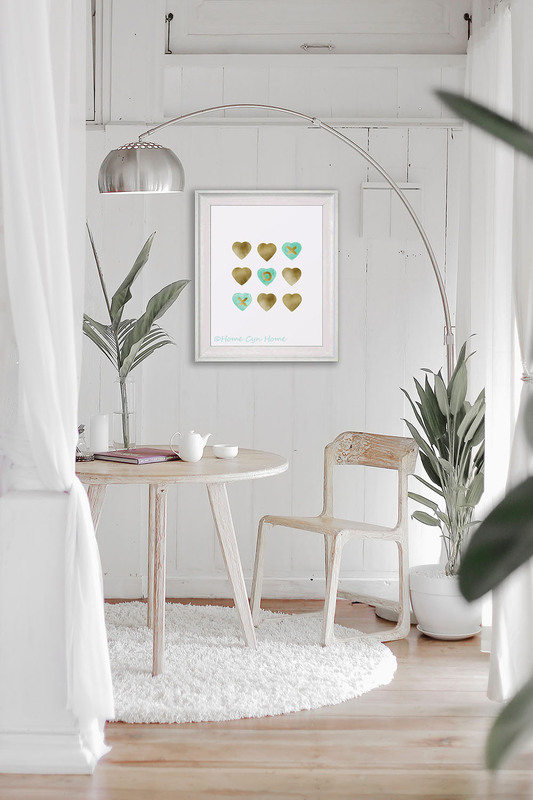 The name of that artwork is "Tic Tac Toe hearts - Mint and Gold palette" and it's for sale in my Society6 shop. 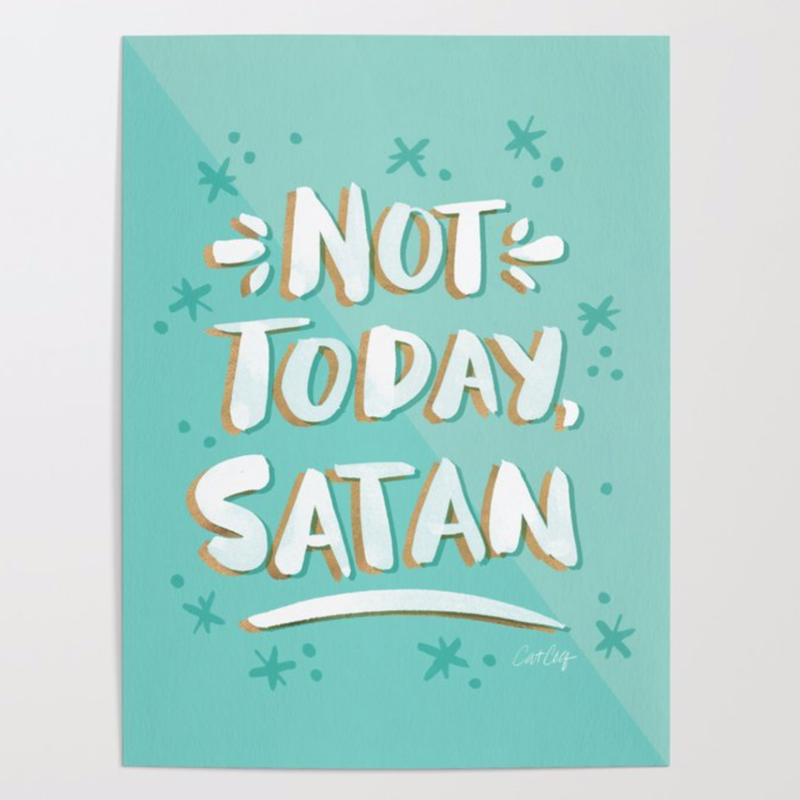 I'm not the only artist and designer tapping into this trend, one of my favourite artist : Cat Coquillette also regularly re-color her work in that palette. 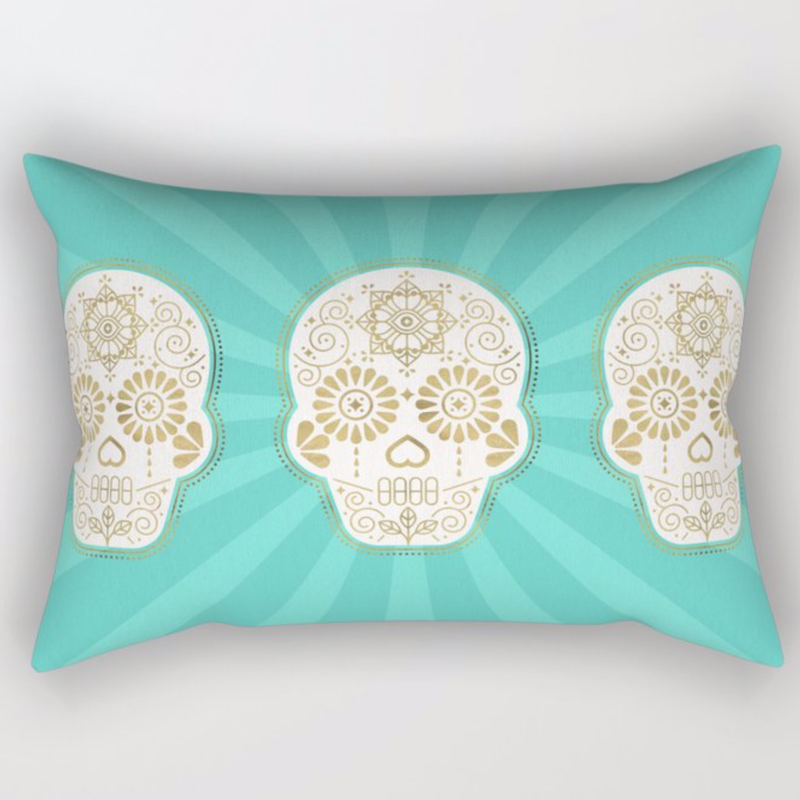 But you don't need to go as far as Society6 to get your fix of mint and gold, you will probably find it all around you since it is still a solid trend in furnishing and decor accents in India. This one is from Elan, and I have shared the Amazon link to buy it quite a few times, because seriously it's the best pen holder you can find if you are an artist with a lot of art supplies to store. 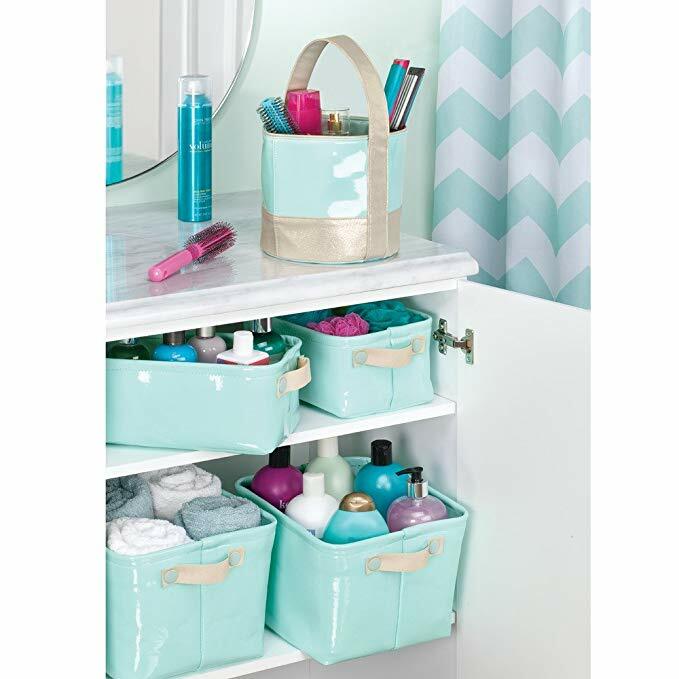 If my bathroom wasn't done in a hue close to the "pink that goes with nothing" I would totally go for it to organise my knick knack. What do you think about this color palette? Soothing or seriously not your thing? 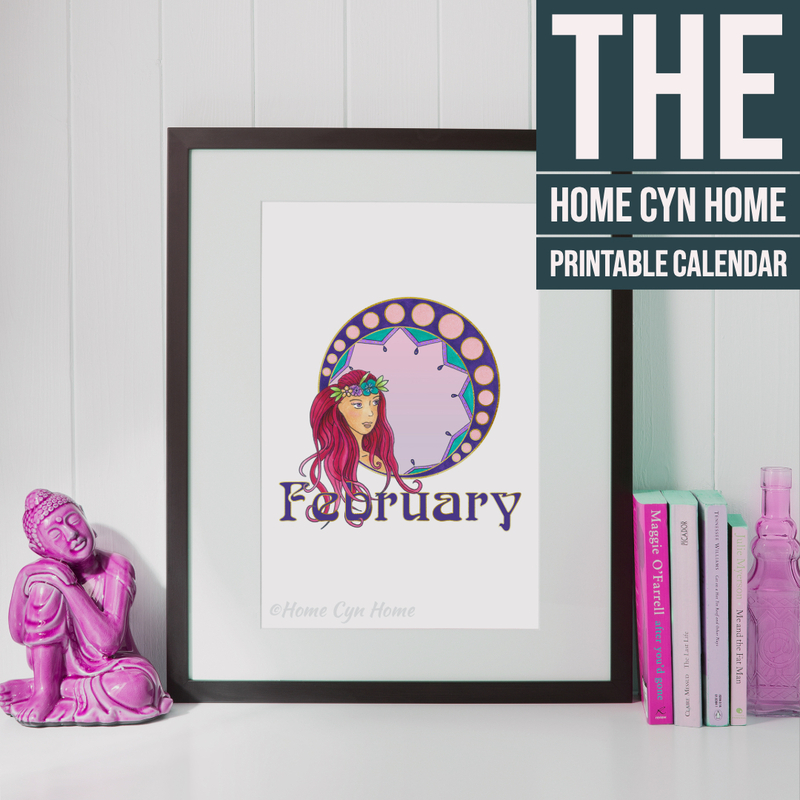 It's the month of love, sweets and stuffed hearts and teddies for many, for me February is the pink month, because my synesthetic mind has decided it that way and having a calendar page in any other color would really throw me out of whack. 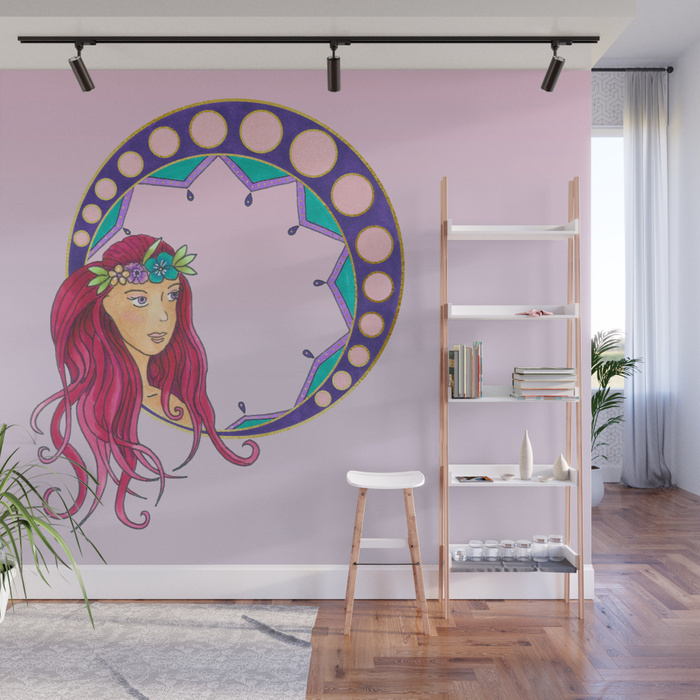 When I decided to go for that Art Nouveau theme for my 2019 calendar, I also knew I was going to go down Synesthesia lane all the way, which worked out great because I got to go crazy with hair colors on some of my ladies. But before I ramble any further (and you know I will), you can go download the calendar page for this month here. This illustration, like all the others in the Calendar (which you can download in full here) is for sale in my Society6 shop. 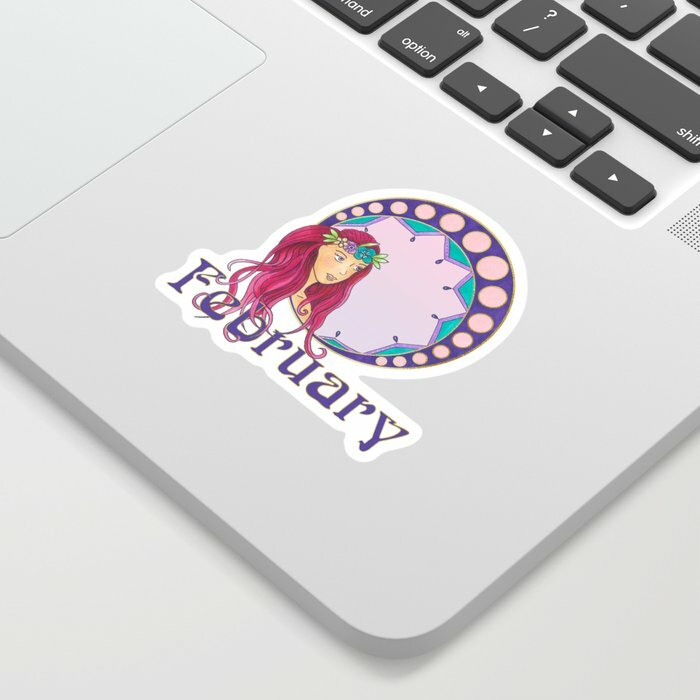 If you are looking for the month specific design, fear not, I got hard cracking at it last December and uploaded everything in the past few weeks. This is for all the bullet journal addicts and those of you wanting to mark your birthday month with something special. 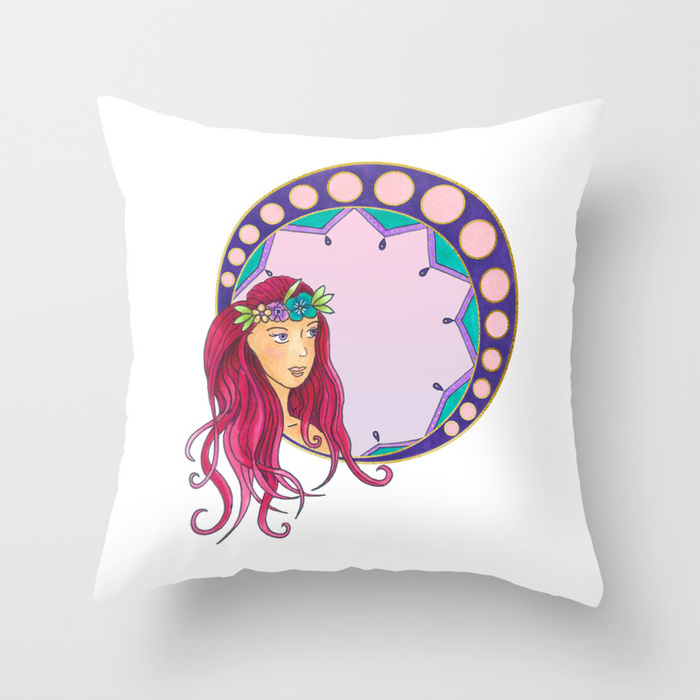 But if you really want to make your decor month specific, she is available on all art prints, posters and throw pillows as well. 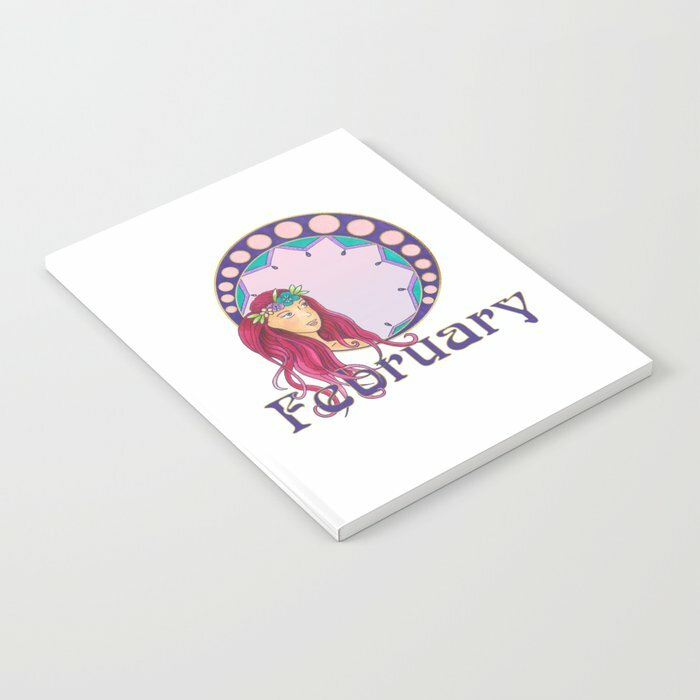 And she makes for a great gift idea for anybody born in February as a coffee mug, tray, coasters or t-shirt. My mom is still visiting and I am spending with her, which means less DIY projects, paintings and otherwise work related things. Though I still do work a few hours a day.